Independent Travel in China — It&apos;s Not Like in the West! 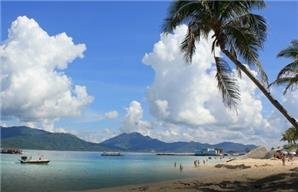 Travel and tourism isn’t as easy to arrange or enjoy in China as in the West. Traveling independently in China, whether alone, with your family, or as a group, is usually a big adventure, and a lot of work, if not a nightmare of hassles. Independent travel is harder in China than in Europe, for example, as so many things are done differently and in a more complicated way. Below are the things you should consider, before going it alone — self-planned and self-guided — instead of joining a group tour or investing in a private tour. Make sure you plan in the best spots for photos/scenery in e.g. picturesque Hong Village, near the Yellow Mountains. 1. Spend as much time as possible preparing yourself for what to expect to avoid tourist traps, China holiday wreckers, and culture shock stress. 2. Learn as much useful Chinese as possible before going, and keep learning (with a Chinese language app) in China. 3. Plan/arrange everything well to get the most out of the sights, and to avoid being up the creek without a paddle. 4. Be patient, tolerant, rest more, and take it slowly to avoid frustration. Very limited English is available in train stations in China. Once on the ground in China, you will need to have thought about how you will get around. China is vast, and walking is not practical for much more than central locations and hikes. N.B. Find an alternative for Google Maps or a VPN app as the China firewall blocks much of the Internet. The need for a knowledge of Chinese, the more the better, will soon become apparent when using transport in China, or even planning it. See more summarizing China Transportation or read on for how the main methods of transport differ. There are different traffic patterns, different laws, and less law following in China, so you will need to be more careful in order to cross the road safely in China. Driving in China is not advisable for a number of reasons. The first is that you will need to sit a test on Chinese traffic law and driving knowledge to obtain a license and drive legally. China’s roads are not for the faint of heart. Even if you take the written test in English, you’ll find that once you get on the road, signs are in Chinese! Then there are the unfamiliar (inconsiderate) traffic behaviors and heavy congestion, the stress of finding somewhere to park, awful road conditions in places, and the time-consuming trouble and stiff penalties if the worst happens and you have an accident. Not all China’s taxis are legitimate, and even the registered ones may use such scams as overcharging, taking you to the wrong place (for a commission or just because it’s easier), and giving you fake money. Beware scams. Prepare your destination address in Chinese, and ideally some basic vocabulary on giving directions. Read more on Taxis in China. 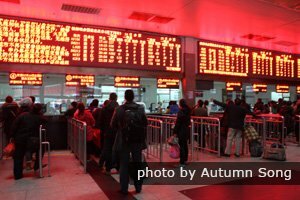 Whether using a city bus or long-distance bus the main difficulty is having enough Chinese to get on the right bus and get off at the right place. Many Westerners find Chinese buses more uncomfortable than those back home due to smaller, harder, dirtier seats; bumpier roads, over-crowding, smells (including smoking: most buses are non-smoking, but even the driver and exhaust system smokes on some rural buses), etc. See more on Road Travel in China. China&apos;s high-speed railways are highly recommended. The preferred option to long-distance buses are China’s trains, if they’re available. If you don’t book them in advance popular trains get sold out first. Then you may find yourself waiting at the station for a long time. Trains are typically packed to the point of having “standing tickets”. 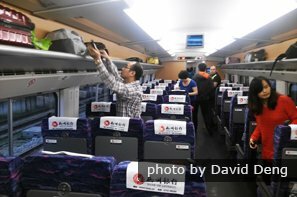 China’s trains are better regulated than buses and the service is generally very good, particularly if you use the High-Speed Railway. However, you will still need to use Chinese to get the tickets and navigate the unfamiliar station layouts. See our Guide to Train Travel in China. Having read the above you may want to consider departing from independent travel transport-wise, and instead taking private transport. You are not allowed to travel around Tibet independently. 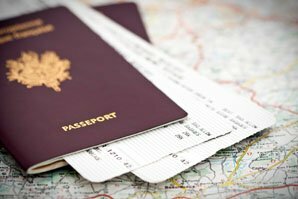 Planning your itinerary on your own, how will you choose what attractions to go to? And, even more crucially, what will be your plan of attack for getting the most out of each tourist sight? This often isn’t as easy as in the West, where attractions are less exotic, the layouts are safe, logical, and well-designed, and information/signage is readily available in English. First of all, there are some places in China that you are simply not allowed to see independently. 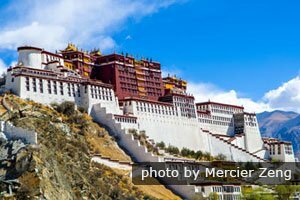 Most notably is Tibet, which requires booking with a Chinese travel agent in order to obtain a Tibet Entry Permit. Other places give priority booking to Chinese travel agents, making it difficult, or almost impossible, for independent travelers to gain access. A recent example, receiving much hype this year , is the Zhangjiajie Glass Bridge. You might miss most of the highlights of the Forbidden City without a guide. Even if you get to the attraction you want to see, and queue up, and eventually obtain your entry ticket, how will you navigate and appreciate an attraction like the Forbidden City? The signage is in Chinese, and if an “English” translation is provided it often looks like it’s computer generated, untouched by anyone who understands English. The infamous humor of Chinglish signage abounds (e.g. the classic “Carefully Hit Your Head”, which is what you feel like doing after reading much Chinglish!!! ), but that’s no help if you’re reliant on Chinglish for a clear explanation of an artifact or important safety instruction. Without a guide you may wander through somewhere like the Forbidden City having only seen the backs of people’s heads and selfie sticks at popular halls, or wander off track to halls of little interest. How will you even find the exit, much less avoid wasting your time, amongst the maze of buildings? Even if you tag along behind a tour group (pushing to the front being more of a Chinese thing, so you’ll be fighting the majority to do that), you may struggle to hear and understand any explanation given. 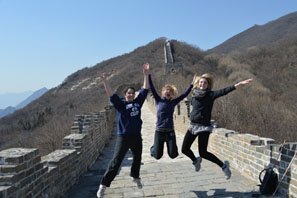 Wouldn’t it be better to have an itinerary tailored to your interests by an experienced expert in China tour planning, and to skip the queues? See Why Us. Wouldn’t it be better to have a knowledgeable private guide to offer you enlightening answers related to your interests, and who knows the best view points and how to avoid the crowds? A good hotel is not as easy to find in China as in the West. Here standards are different, less reliable, and even vary from region to region. 5-star in Beijing is not the same as 5-star in Zhangjiajie! A big outlay may go a long way, but is still no guarantee that you get what you want. Use TripAdvisor, as the hotel websites won’t tell you about the hard beds, leaking toilets, noisy environment, poor service, etc. that unbiased reviews will. China’s (larger) hotels can be booked online fairly easily, like in the West. Many hotels have English websites (the grammar may be disconcerting, but at least it’s good enough for you to fill in a booking form). However, don’t expect English-speaking staff at any but the largest establishments. Booking in advance is recommended to avoid trailing from fully-booked hotel to fully-booked hotel in all but the slackest times for many places. This is due to China’s huge, increasingly mobile population. 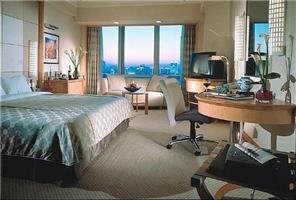 Some of our more independent customers choose to book their own hotels, cutting their tour costs. 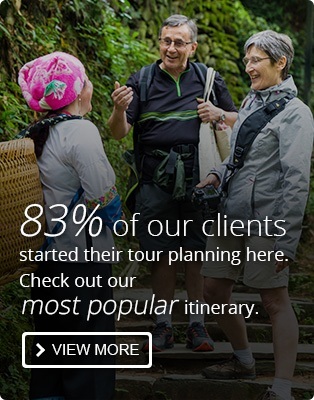 As flexible customized tour specialists we can provide as much, or as little, help as you need. A company like ours, with decades of experience serving foreign travelers, can cut out all the hotel hassle, immediately selecting and suggesting hotels likely to be most suitable for you, and booking them. We can also provide private transport to get you there and away, a driver who’ll happily carry your luggage, and a guide to help you check in, not to mention to help sort out any problems once you get settled in. 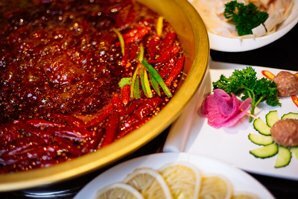 Real Szechwan (Sichuan) cuisine will be very different from what you&apos;re used to back home, like this hotpot. Food, it can’t be under-emphasized, is very different in China. Traveling America or Europe unaided, you’d be bound to find recognizable menus and flavors without too much trouble — not so easily done in China! Before planning to go to China independently you should think what you will eat, especially if you have allergies, intolerances, or particular tastes. Western food can be found in larger cities (in places besides McDonalds), but still may be a bit different to what you’re used to. For the adventurous, pick a restaurant, point, and try. For those of you who want to stay on the safe side stick to what you recognize. Most cities have Muslim restaurants, which suit most Westerners’ taste buds better than mainstream Chinese or other minority cuisines. There’s more advice on our China Food Guide. Food may be the decisive factor that makes you choose a private tour (with restaurants expertly chosen to suit you, and a guide to help you order), or a group tour with boring and standardized, but at least consistent, convenient, and reliable, catering. See the difference between a tour group restaurant and authentic Chinese food. 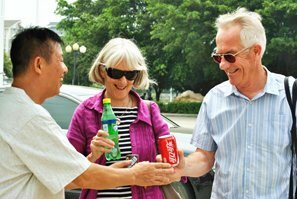 Traveling with China Highlights, you&apos;ll be taken care of well by our tour guides. 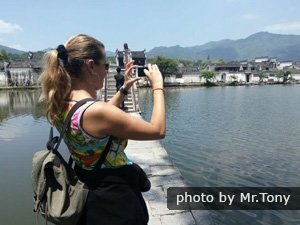 The above may have convinced you that you are now ready for the adventure of oriental travel alone, and are at least aware of the obstacles you may face… or that touring China on your own is not for you. If you’d rather not face the challenges of travel in China alone, broadly speaking your options are twofold: group tours or tailor-made private tours. 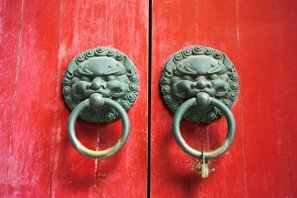 See 11 Reasons Your China Tour Should Be Private… Not a Group Tour. privately-guided customized service (for where you’d like to discover more, and would like more quality assistance). Enjoy the freedom to be as independent or assisted as you want with us. Our most popular itineraries all have three travel styles to meet the needs of different travelers: Comfort, Discovery, and Essential. 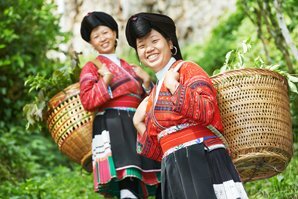 Visit our China tours page for more tour ideas. 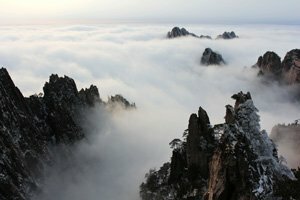 If you are looking for something unique, we can help you plan and arrange your dream China tour step-by-step, with "unlimited" changes and free consultancy and quotation. Let us know your requirements to begin.